Your Road to Damascus: 6 Biblical Secrets for an effective Job Search by William Y. Higgins is an not the typical step by step manual to getting the perfect job. There are plenty of resume guides and job search guide books on the market. What makes this book stand out is that it is not simply a job search guide but a hybrid volume combining a job search guide with devotional and self help elements. The stories of notable heroes of the bible such as the account of Paul’s conversion and missionary work in the New Testament, and Joseph in Egypt in the old testament serves as a springboard to illustrate the biblical and spiritual parallels with a job search. Each chapter or secret focuses on a different element of job searching such as resumes, interviews, negotiation and skills assessment and relates it to a particular story or lesson in the bible. This book is the perfect solution for any believer who finds himself out of work. Nevertheless, this book isn’t just for Christians but for every frustrated job seeker. The calming spiritual references provide comfort and support as well as direction for those who feel as if they have exhausted their financial and emotional resources. Background of the biblical and its significance is provided right in the first chapter. The author uses anecdotes from his own experiences, and weaves them with biblical principles to provide guidance and motivation for a weary job seeker. 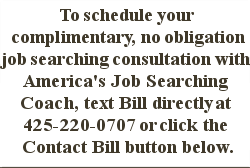 In today’s economy, with the high rates of unemployment the job search is often discouraging. Higgins addresses this issue, providing spiritual as well as practical guidance. William Y. Higgins in his new book, “Your Road to Damascus” published by Mindware Publishing gives us 6 Biblical Secrets for an Effective Job Search. From the back cover: The crisis of a job loss is the story of struggling souls hidden behind the walls of the Christian faith. They valiantly forge forward with little in the way of biblical or faith-based instruction. No one talks much about it. No pastor dedicates a sermon to it. Good luck finding a book about it written from the Christian perspective. For most it’s a difficult time, for many it’s a crisis of faith and life. With nearly 20 million people out of work that claim a Christian affiliation, this is a national crisis of faith. Your Road to Damascus addresses this issue by presenting biblical strategies and principles, and practical guidelines, on how to conduct an effective job search. It examines in detail biblical strategies and provide pragmatic guidelines for all aspects of a job search. The message of Your Road to Damascus is one of hope, encouragement, renewal, and revival in the midst of the job loss. It boldly proclaims that God is at work and isn’t finished yet, and He wants to have a new encounter with the believer through their job search. Your Road to Damascus will capture your imagination and transform the way you view a job loss. From identifying your GPS (God’s Positioning System), to weaving your resume, to seeing God’s hand in job opportunities and offers, it will revolutionize the way you see God’s involvement in this aspect of your life, as well as how He touches many other crisis points. “Mr. Higgins has written a tour de force. 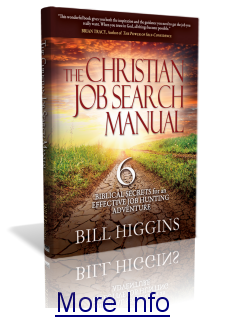 The Christian Job Search Manual is destined to be a benchmark to help believers understand that God is at work guiding them on their career change journey as He wills for them. I know of no other scripturally based source that provides the Lord’s guidance through opportunities to grow in faith, and discover God’s direction in their career choice.” – DAVID W. COLE, CHIEF EXECUTIVE OFFICER (RETIRED) COINSTAR, INC.